ITE Transactions on Media Technology and Applications, vol. 6, no. 1, pp.2-10, 2018. 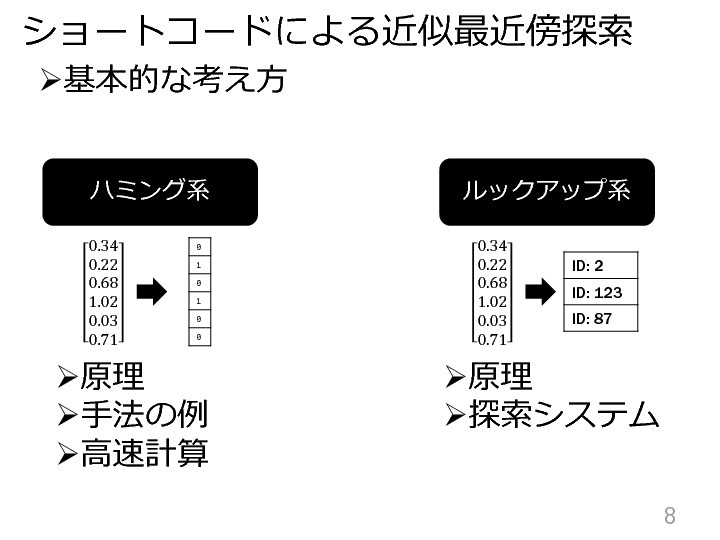 パターン認識・メディア理解研究会(PRMU), vol. 116, no. 208, pp.147-152, 2016. 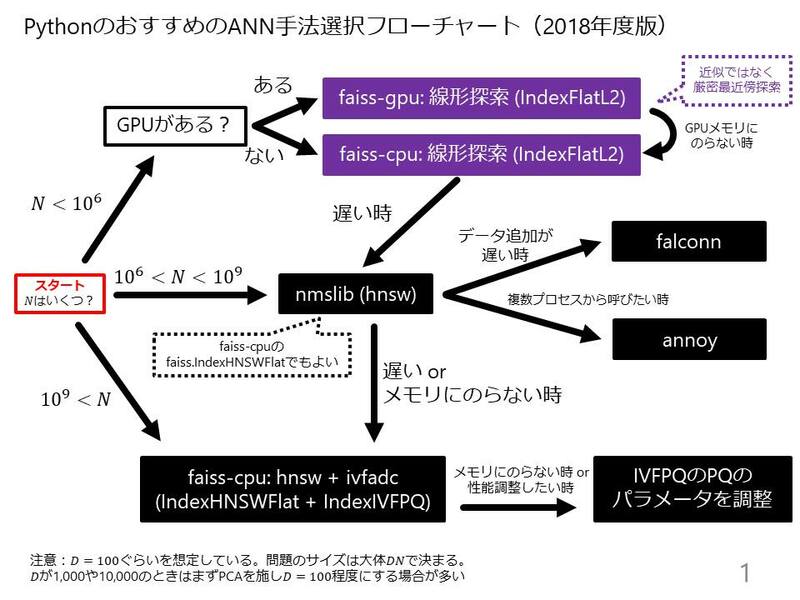 Faiss: ANN library with PQ for billion-scale data. 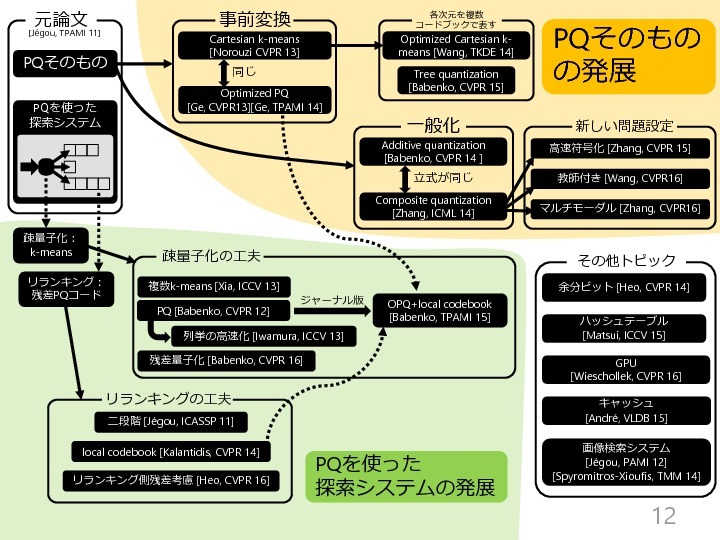 PQk-means: Clustering with PQ. Python code for PQ is available. ANN-benchmarks: Extensive benchmark of ANN.